Last year we designed a mobile app to work along side a website we designed and maintain for the US television series Castle. The app features news, photos, calendar, Twitter and more and is an easy way for fans to keep up to date with everything going on with the show. 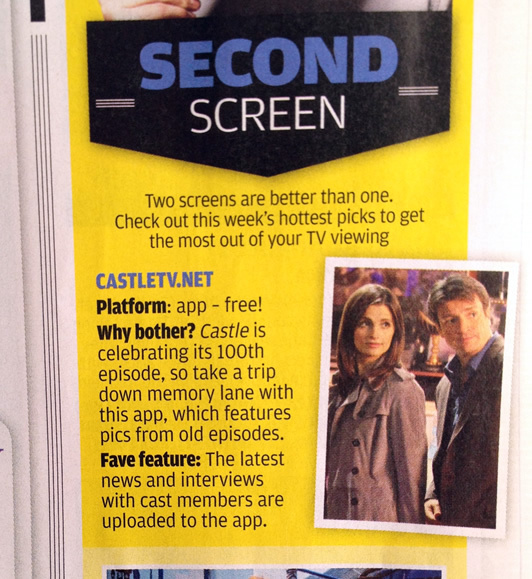 To our surprise and delight our app was recently featured in TV Week Magazine.